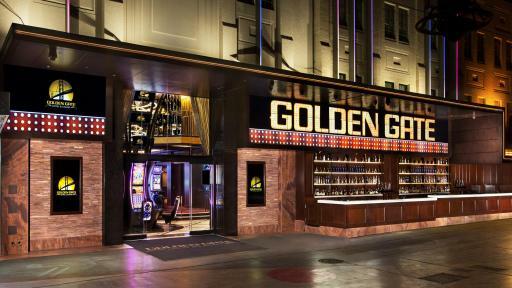 LAS VEGAS (September 5, 2017) – Las Vegas’ original hotel, Golden Gate Hotel & Casino, has completed a major expansion project, marking a new chapter in the 111-year-old Downtown Las Vegas property’s elaborate history. Featuring a modern yet timeless design from Dez Motif and architecture by MOSER Architecture Studio, the renovation includes a casino floor nearly doubled in size, a majestic grand entrance, an extension of its outdoor bar, OneBar at One Fremont Street and more. The property’s new additions inhabit land once owned by La Bayou, a Granite Gaming Group property Stevens acquired in 2016. 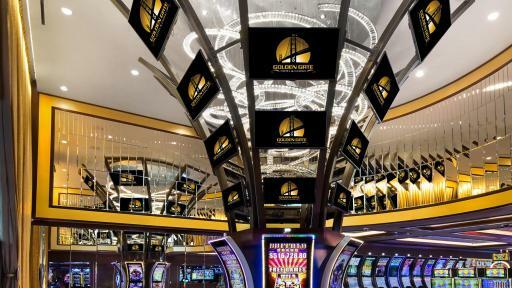 This will mark Golden Gate’s second major expansion in more than 50 years – the first being the addition of a five-story luxury hotel tower, new lobby and exterior in 2012, also helmed by Stevens. The evolution of the property contributes to his vision to transform Downtown Las Vegas, including his highly anticipated plans for the neighboring 18th Fremont St. hotel-casino project. 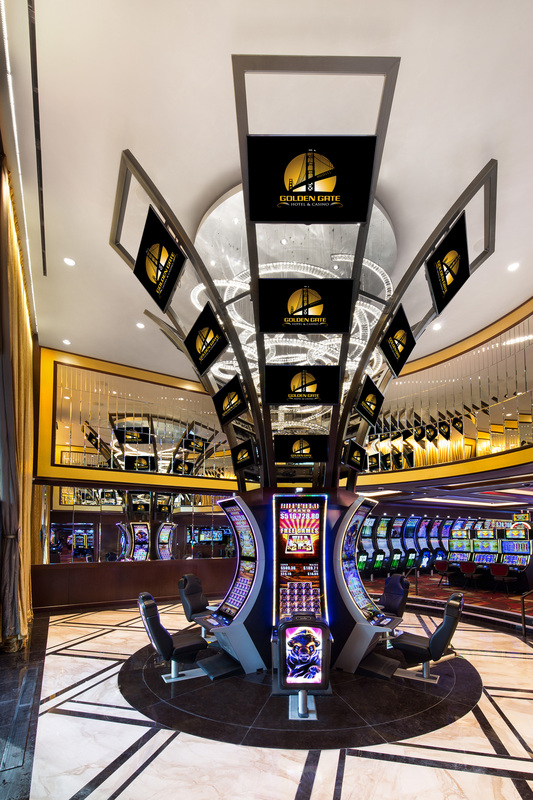 Expanded Casino Floor – Spanning 5,000 square feet, the updated casino space has introduced 91 new slots to the gaming floor. The centerpiece is an eye-catching 360-degree, 24-foot tower of televisions, artfully displayed as though the TVs are emerging from a fountain. Visitors are greeted by a multi-faceted crystal chandelier feature, composed of beautiful spirals cascading downward in tiers of beveled mirror accents. 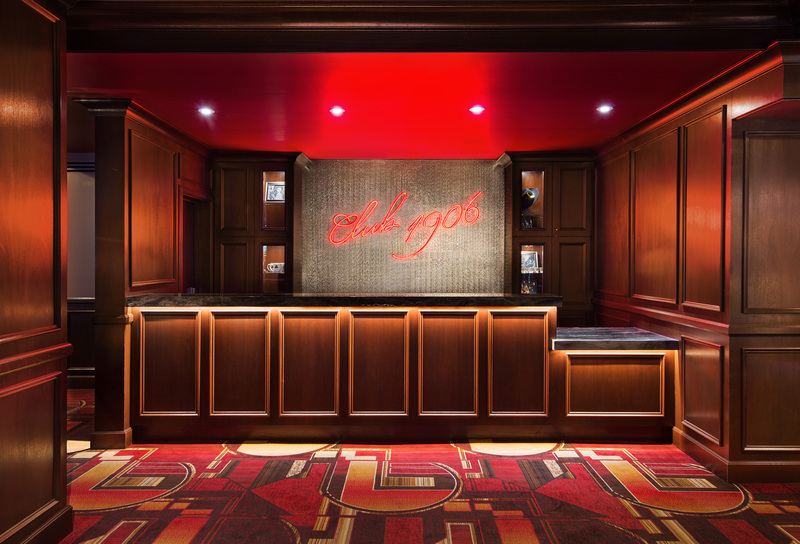 Club 1906 – Golden Gate’s loyalty rewards program – will now house its very own kiosk, complete with a Vegas-inspired neon sign to welcome players. More Drinks for All – As a non-stop beverage destination on Fremont Street Experience, OneBar at One Fremont Street has expanded 20 feet to become one of the longest bars in Las Vegas. Boasting an impressive television wall, frozen libations and the popular flair and dancing bartenders, it will be a perfect watering hole for visitors checking out a show on Main Street Stage or concluding a ride on the SlotZilla zip line. 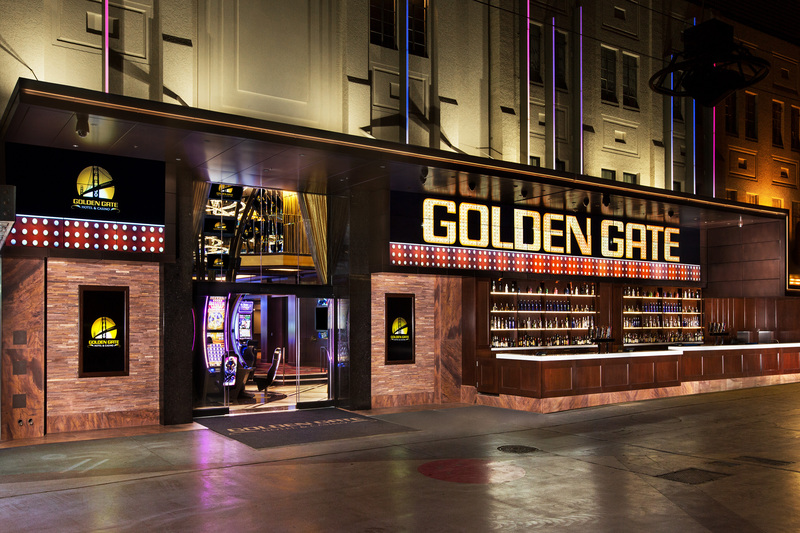 Lavish Entryway – Mixing the nostalgia of vintage Vegas glitz with Art Deco style, Golden Gate has introduced a redesigned façade, including a glamorous 500-pound golden velvet drapes to create an unforgettable casino entrance. Inspired by the Jazz Age, the drapery is adorned with exquisite gold medallions, serving as a grand arrival to the casino’s marble-floored rotunda. 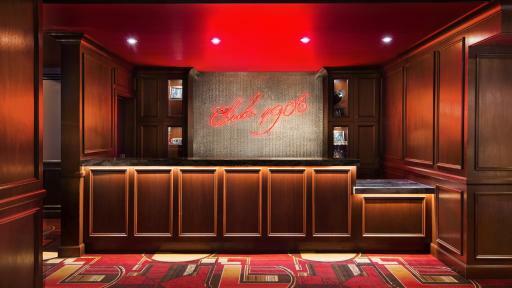 Upgraded Back-Of-House Space – On top of guest-facing experiences, Golden Gate used its expansion as an opportunity to enhance back-of-house operations. This includes an updated employee dining area with a snack bar; a massive beer cooler for keg storage; a liquor room which will serve as a dispensary for all bar venues on the property; and a private dressing area for the Dancing Dealers. For more information on Golden Gate and room reservations, visit www.goldengatecasino.com. 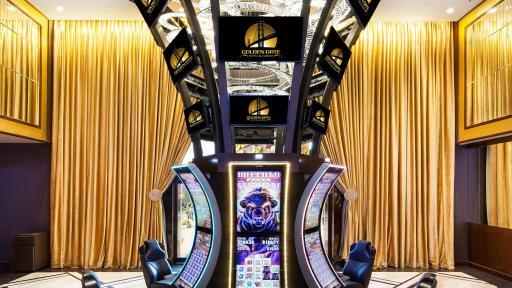 Opening in 1906 at One Fremont Street, Golden Gate’s legacy spans the birth of Las Vegas, the Roaring 20s, the Rat Pack era and now the 21st century. Boasting a prime location under the lights of the Fremont Street Experience and three distinctive bars, the historic property delivers an experience that is authentic and energetic. 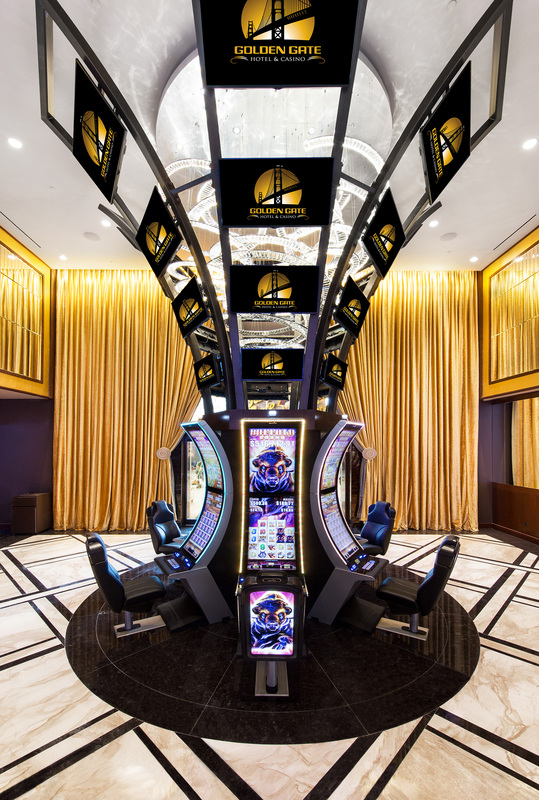 Golden Gate – where the past meets the future and the spirit of Las Vegas is very much alive.